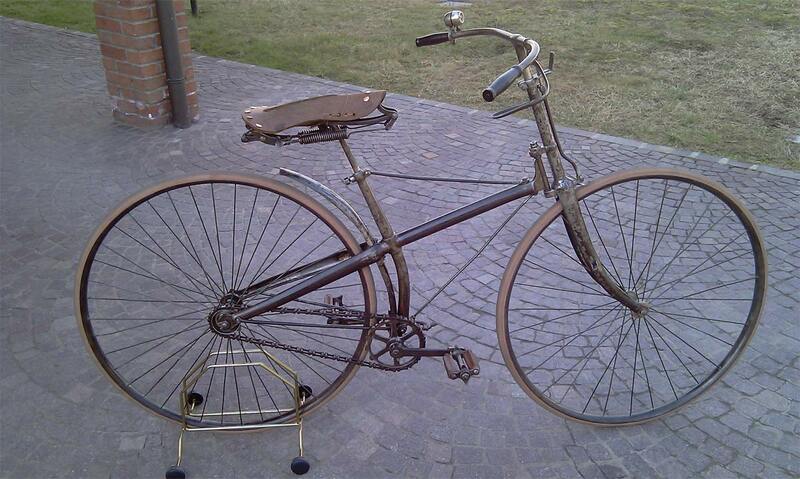 The 'Bicyclette Populaire' was the cheapest Peugeot safety in the years 1890-1894. 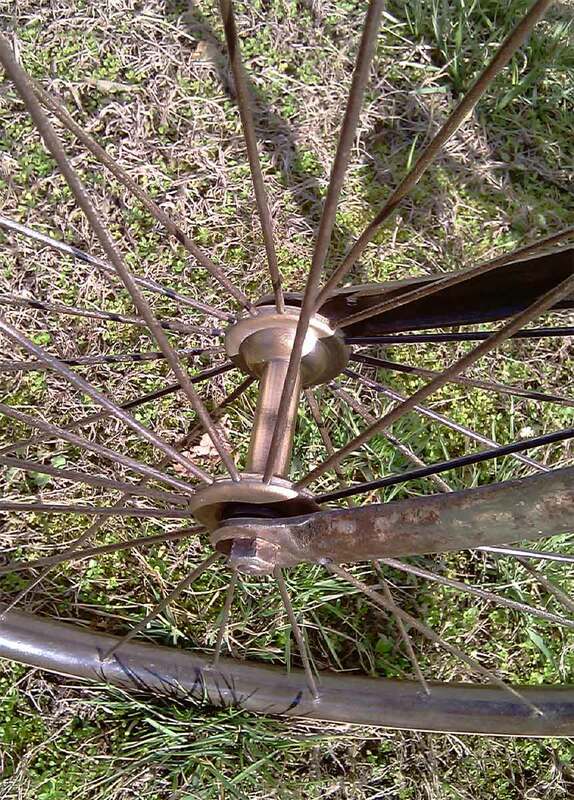 With its pivot steering and chain tensioning at the bracket is was in fact the old 1889 model. 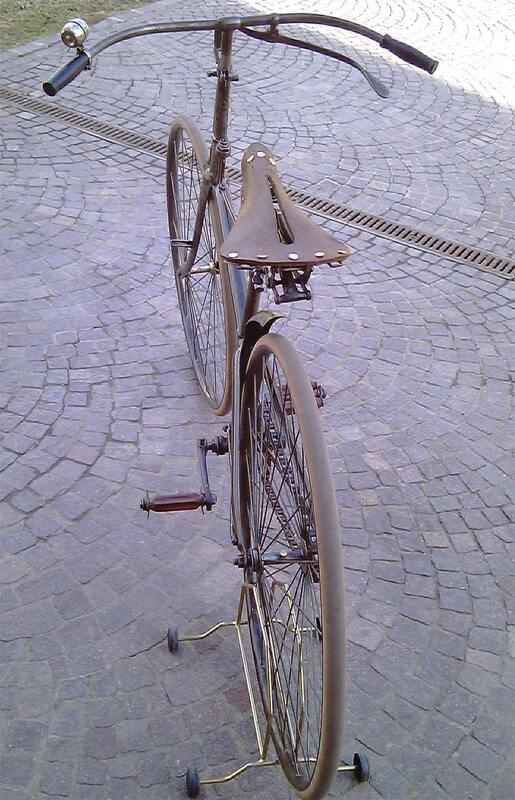 Only the cushion tires are typical for the early 1890's. 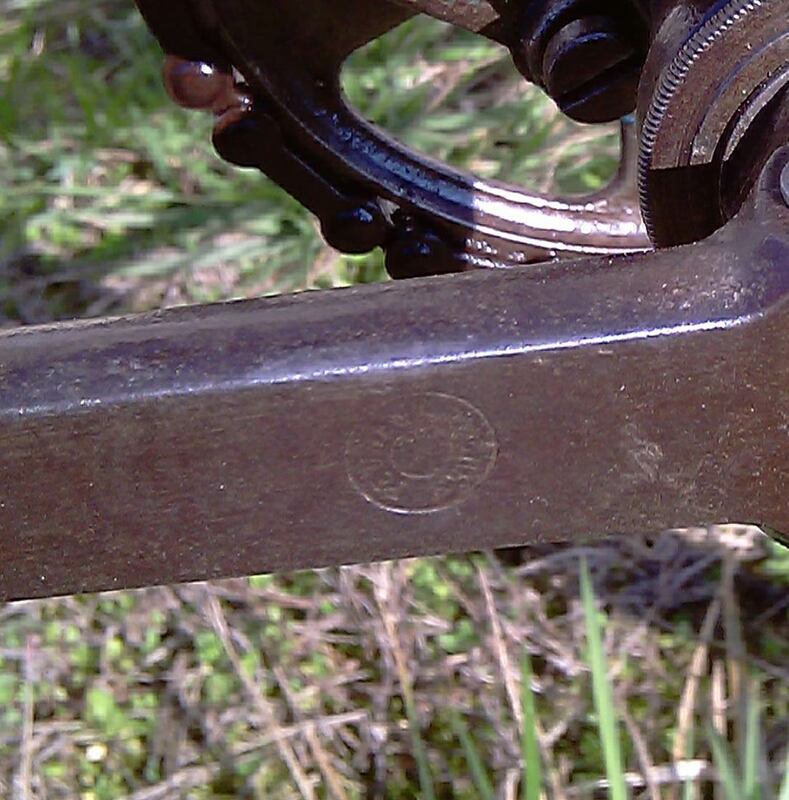 This example with serial number 11465 has been restored without adding new parts or details, except the (more modern) bell. 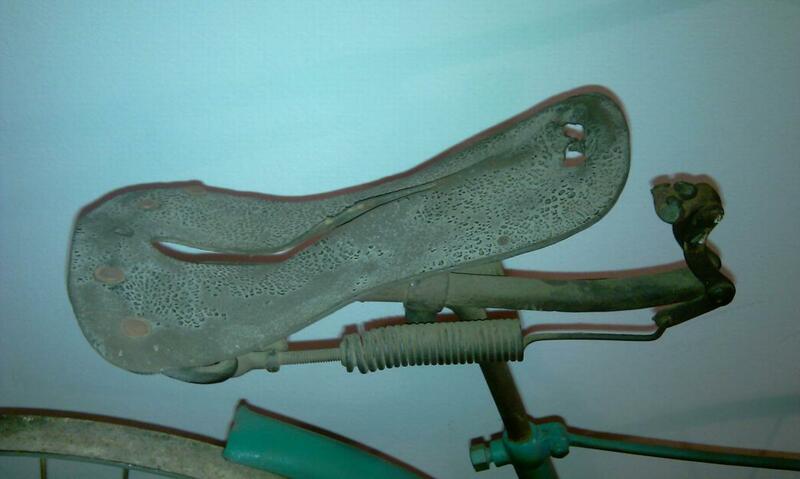 The strange saddle was already on the bike when the current owner bought it: he only had to replace the leather. 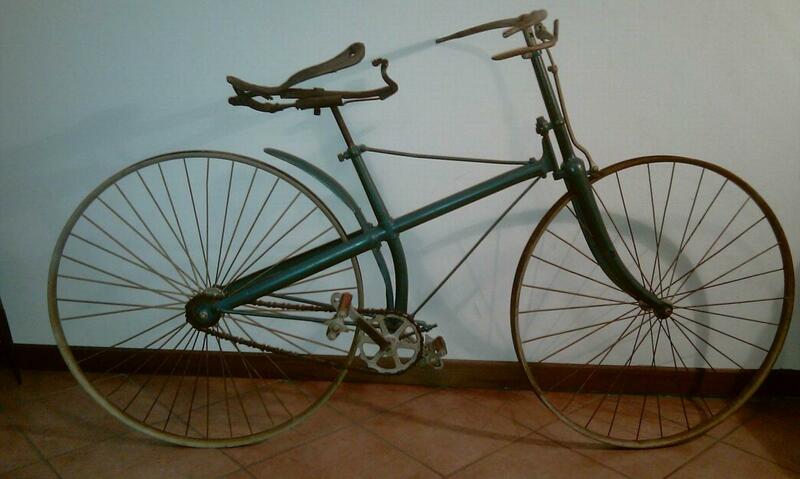 Last two pictures show the bike in unrestored condition. 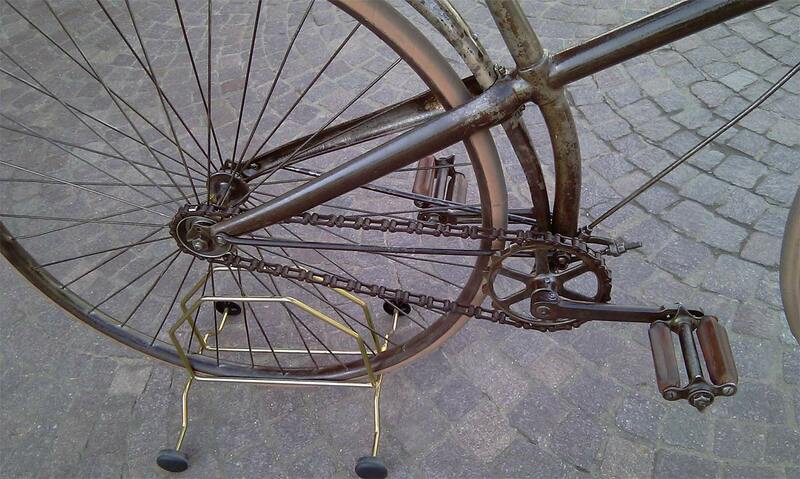 Thanks Andrea for sending me pictures of your beautiful bike. 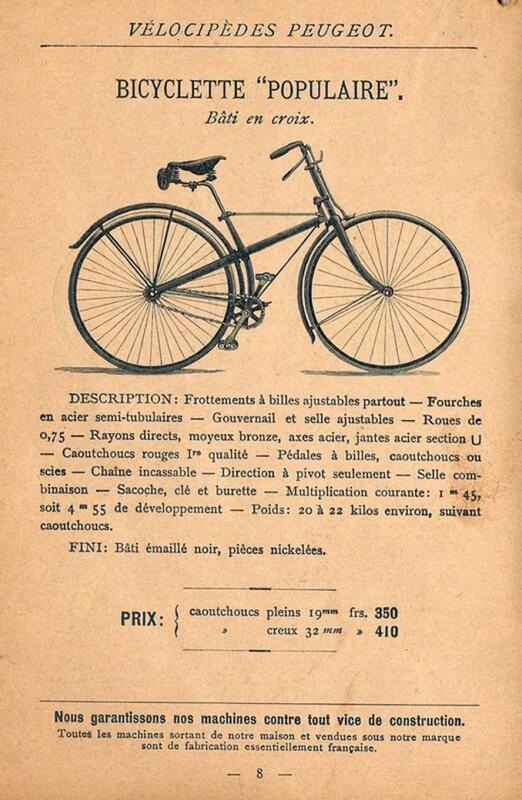 I added a page of the 1892 catalogue. 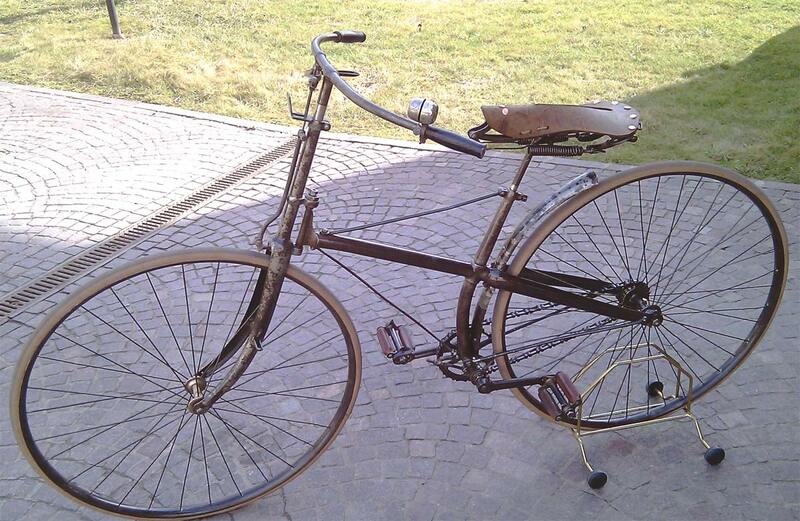 It shows the same model, but with a longer rear mudguard. 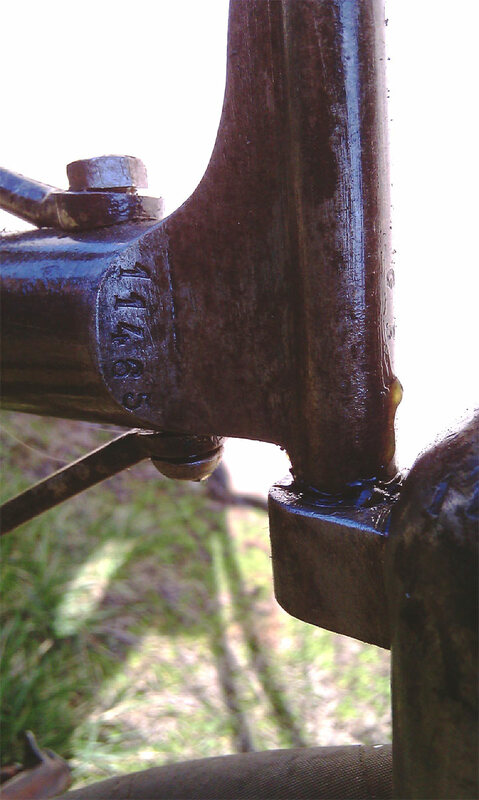 I am not sure if Peugeot really built bikes with this cut-off fender, but I see them a bit too often, so I guess so. 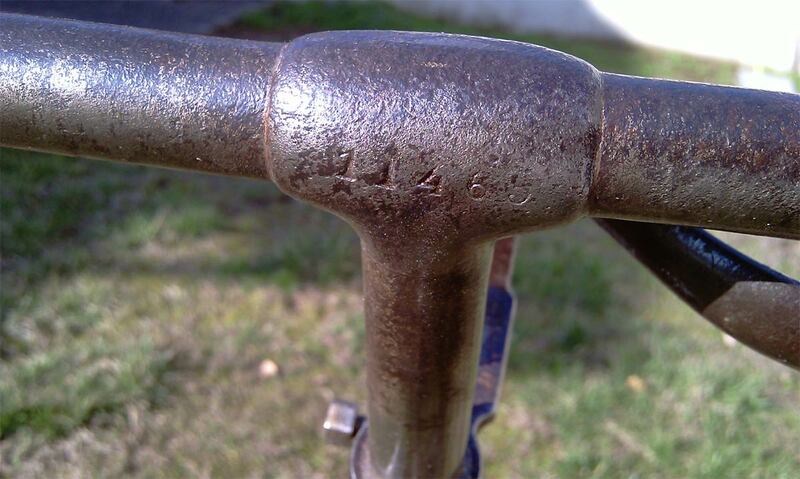 I also made a page mentioning alle featured Peugeot bicycles and more info on serial numbers.